Universal Resorts Kissimmee is currently in its final phase of build out, these 10 acres of lushly landscaped tranquility are located in Kissimmee, Florida just 15 minutes from the Orlando International Airport. In Universal Resorts Kissimmee community you will find the perfect balance of nature and luxury. 72 newly designer decorated, fully furnished villas have spaces up to an extraordinary 2,176ft�. Universal Resorts Kissimmee boasts about having to 2 championship golf courses and freshwater fishing less than five minutes from your door, theme parks just 25 minutes away, the worlds famous beaches just 45 minutes away, and historic downtown Orlando, centre Art and Music are just 25 minutes away, your home is situated in the heart of Central Florida allowing you to easily experience the number one vacation destination world. 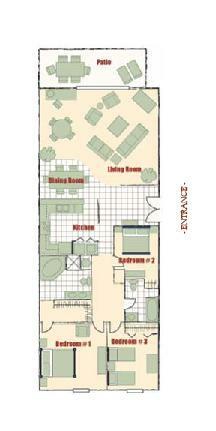 Here is you chance to get on the ground floor and own a home in paradise at Universal Resorts Kissimmee. Selected individuals may choose from the following "The Comfort" - three bedrooms home and "The Grande" five bedrooms home. There is simply no other boutique resort like Universal resorts Kissimmee. Helping maintain the standard at Universal Resorts Kissimmee in each unit is paramount to establishing return guests. The team of interior designers have hand selected all the furniture, fabrics, colors, and textures in your home. "The Grande" was designed to deliver luxurious furnishing to your well being, yet provide practical and functional features that will allow your future guests to feel at home too. To help you understand the level of elegance in your new home they have separated the package of "The Grande" into three main areas: Furnishings, Kitchen Essentials and Interior D�cor. The gourmet kitchen features include Cherry Wood Golazes cabinets with crown molding and under mounted lighting, solid granite countertops, a customized laundry cabinet to conceal your most private washables, dry bar with wine rack and under mounted wine glass holder, as well as the convenience of a pull drawer trash receptacle. Each room in the house has its own special atmosphere and feelings. We have selected the various colors and textures to help create a feeling of comfort and relaxation. 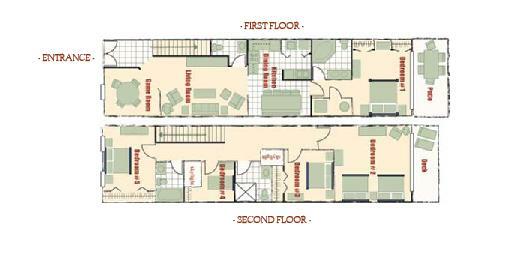 3 BED 2 BATH 1767 SQ.FT. 5 BED 3.5 BATH 2176 SQ. FT.